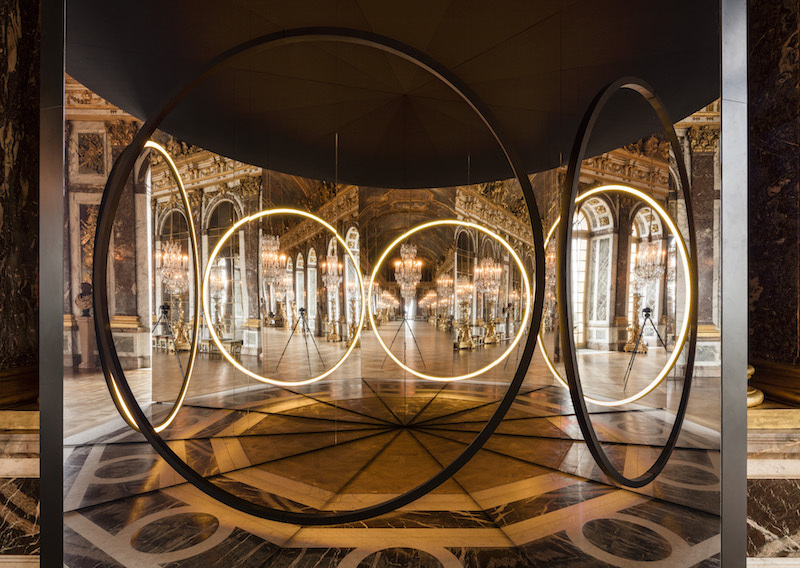 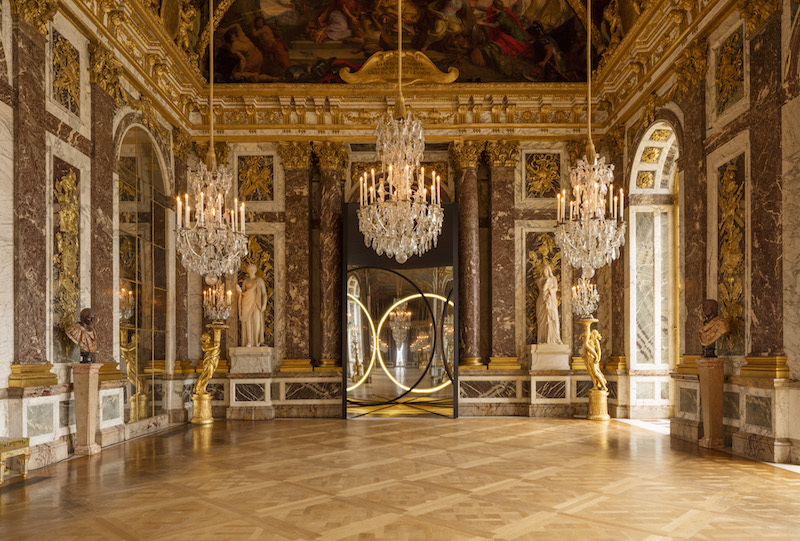 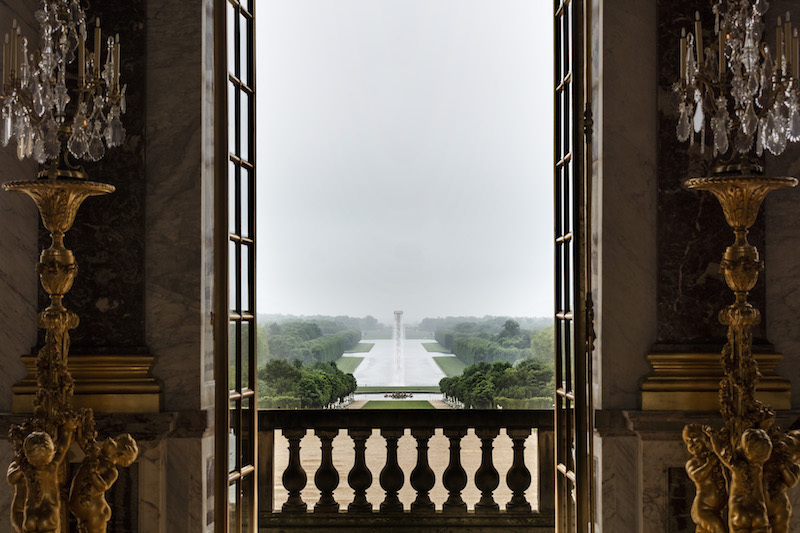 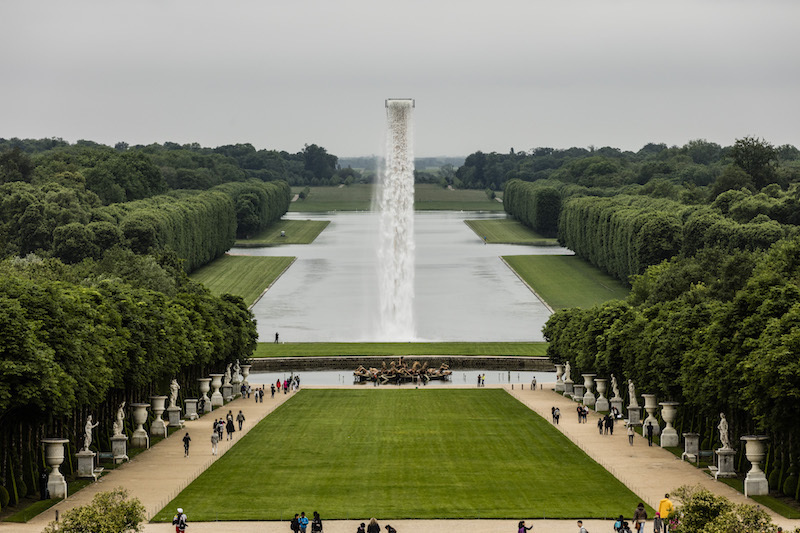 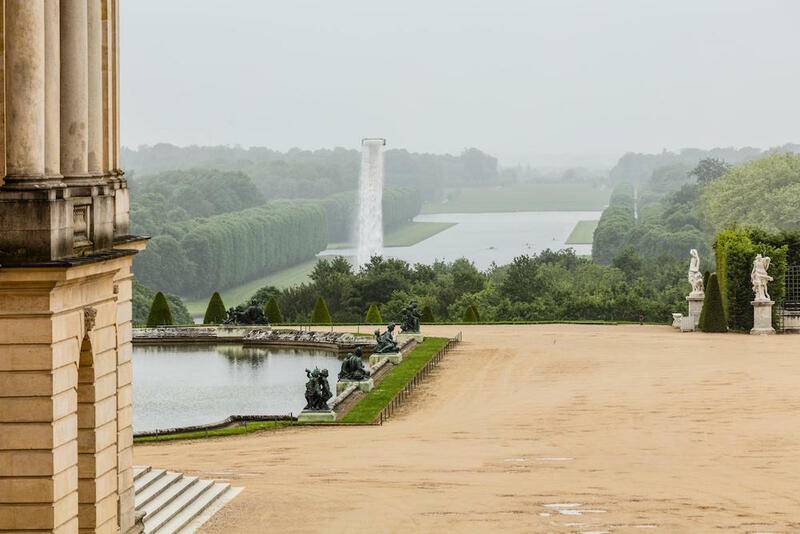 Known for his large-scale, site specific installations Danish-Icelandic artist Olafur Eliasson, created a series of artworks for the Palace of Versailles, featuring gigantic waterfall, fog, and mirrors. 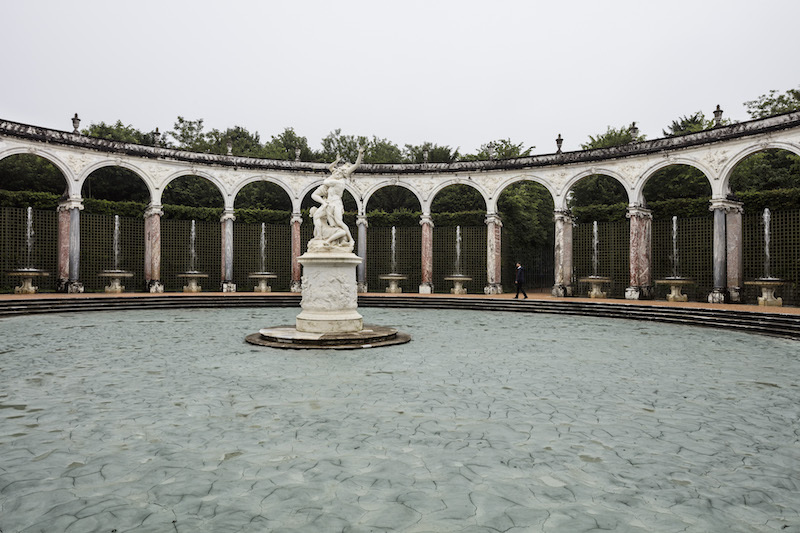 The pieces are on view now through October 30th, 2016. 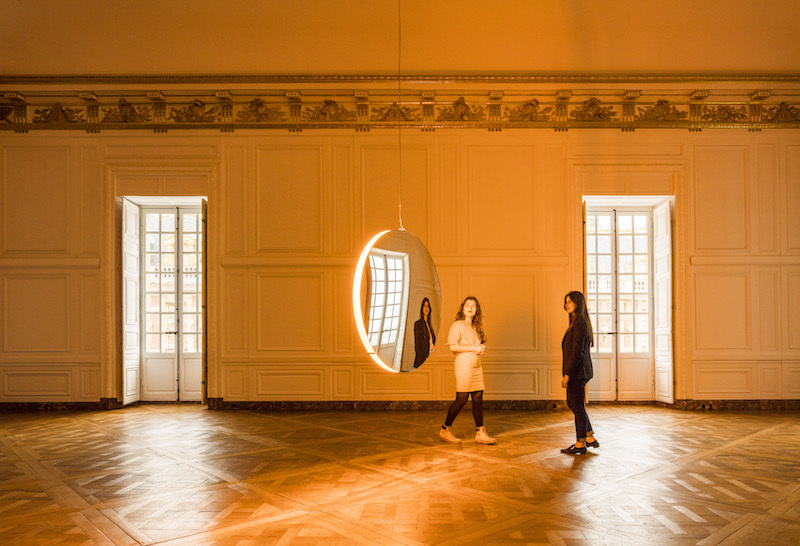 Eliasson’s goal is to encourage the visitor to be apart of the experience, “It asks them to exercise their senses, to embrace the unexpected, to drift through the gardens, and to feel the landscape take shape through their movement,” according to the artist’s press release. 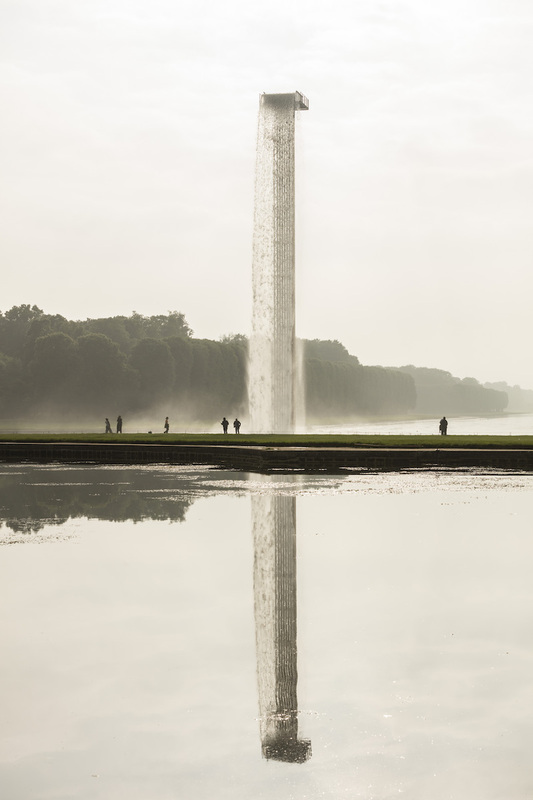 Outside, Waterfall, a piece that quickly captures the visitors’ attention through its size and presence is positioned in the Palace gardens. 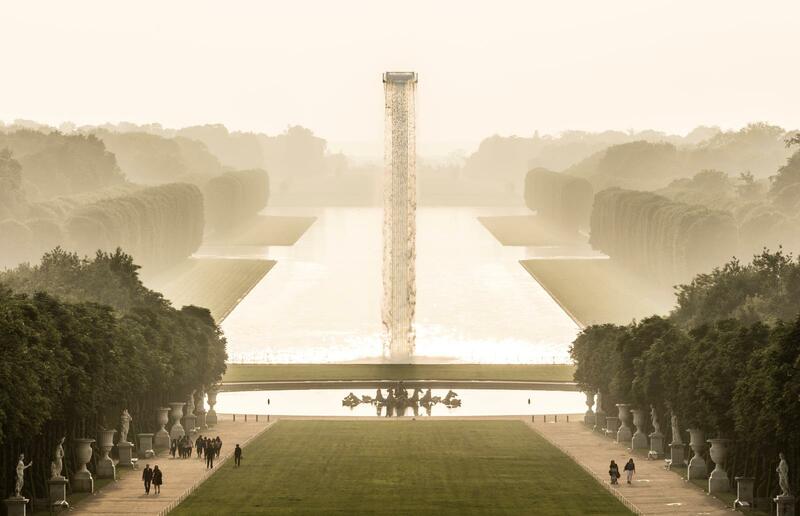 The piece represents the admiration of nature. 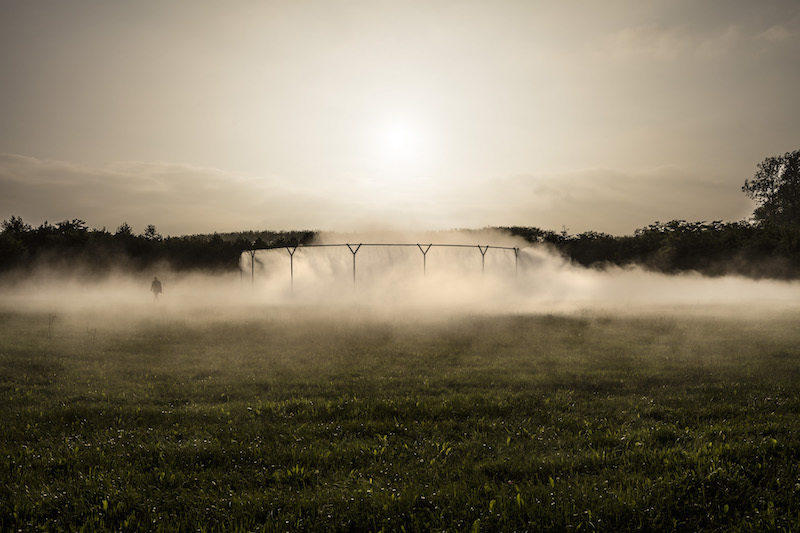 In addition to the gigantic waterfall, more works, such as, Fog assembly, releases a cloud of mist, while Glacial rock flour garden, represents a solid body of water.Once inside, as visitors walk through the palace a series of mirrors and light are utilized to catch the viewers reflection of themselves within the works, creating a dynamic engagement between the visitor and the artworks. 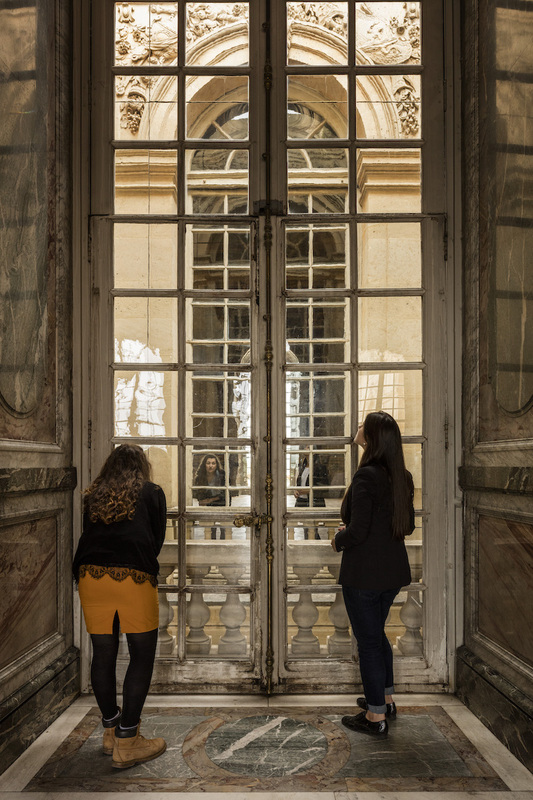 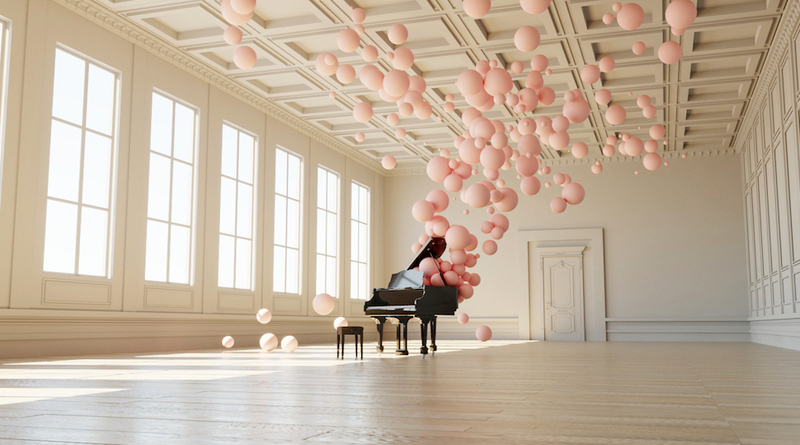 The end result is an engaging exhibition that feels like the visitor is apart of the works. 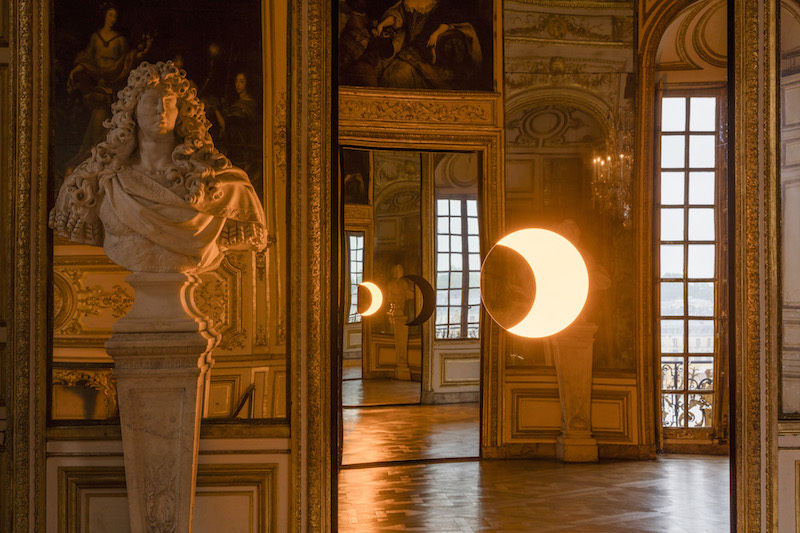 See more of Eliasson’s works below.